Create an elegant look to your outdoor space with the Ansley all weather outdoor bar height set. 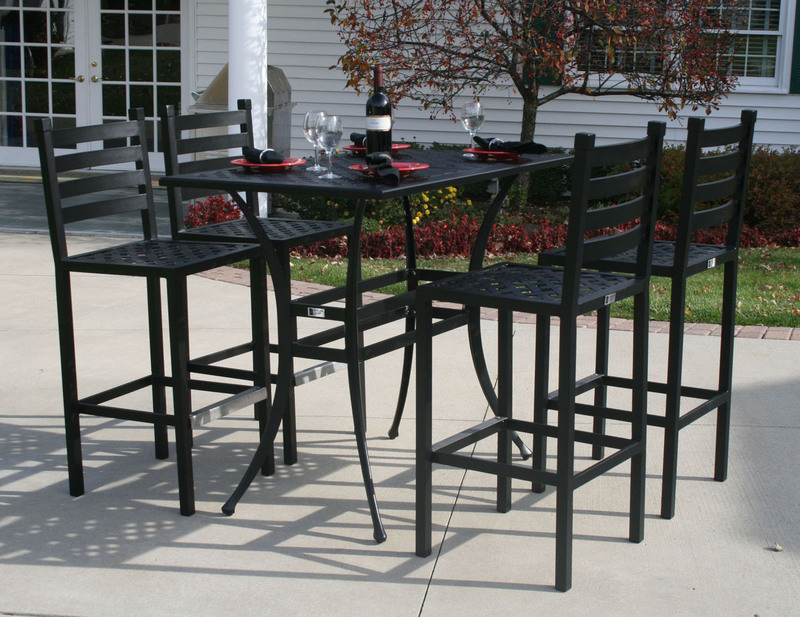 Expertly designed, this patio furniture set is modern in its design and classic in its style. 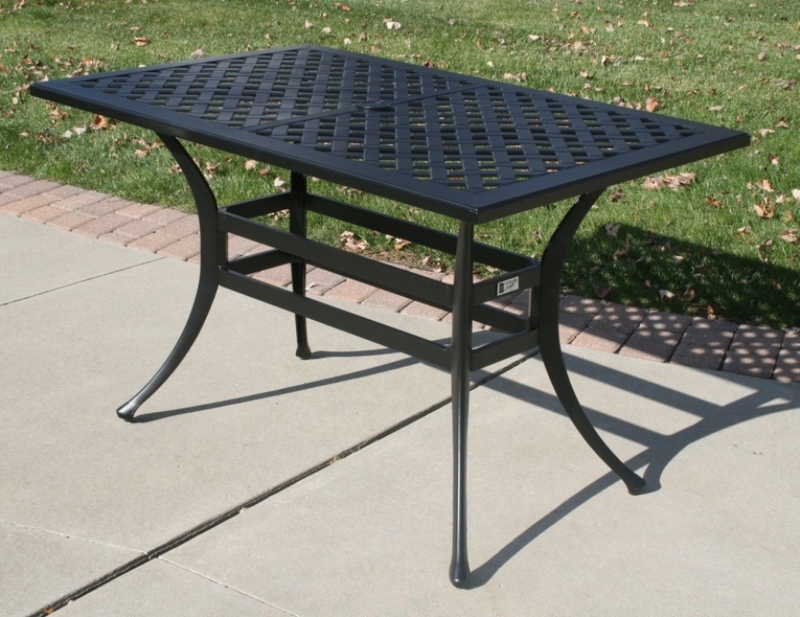 Built to endure, the all weather, fully welded, cast aluminum frame is both sturdy and durable and will not rust or corrode in the harsh outdoor elements. The tall chairs allow your guests to enjoy the outdoors from every angle, giving them the best view. An umbrella port in the center gives you the option of adding a splash of color with an all weather outdoor umbrella, dazzling your guests. This patio bar height set has the substantial presence of contemporary resort furniture, an ideal choice for either personal or public seating requirements. 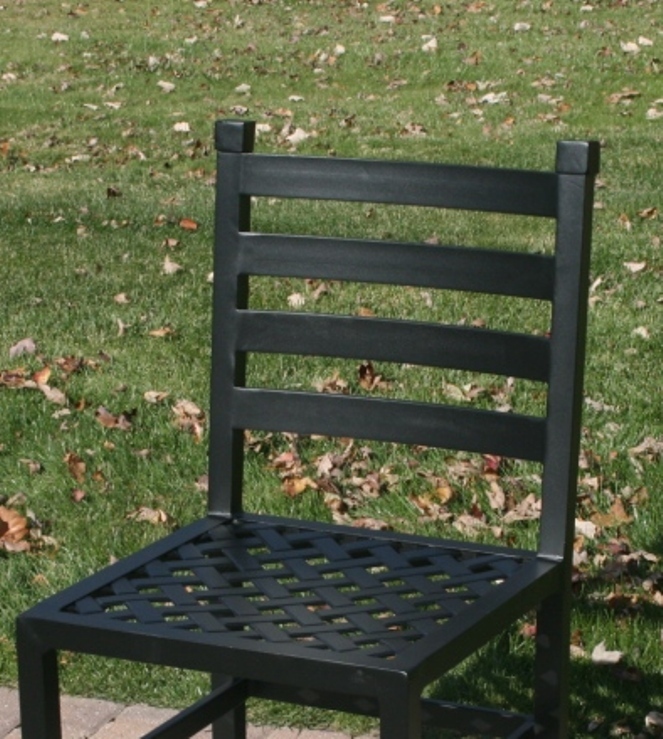 This all weather cast aluminum furniture is ADA compliant and sure to impress. 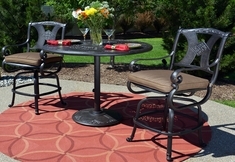 The Ansley patio furniture collection is outdoor seating at its finest.